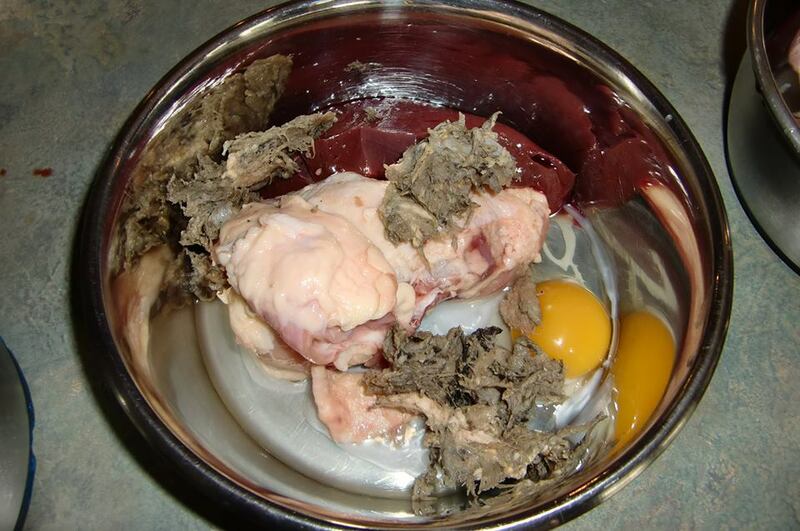 Dog nutrition comes from anything your dog eats. 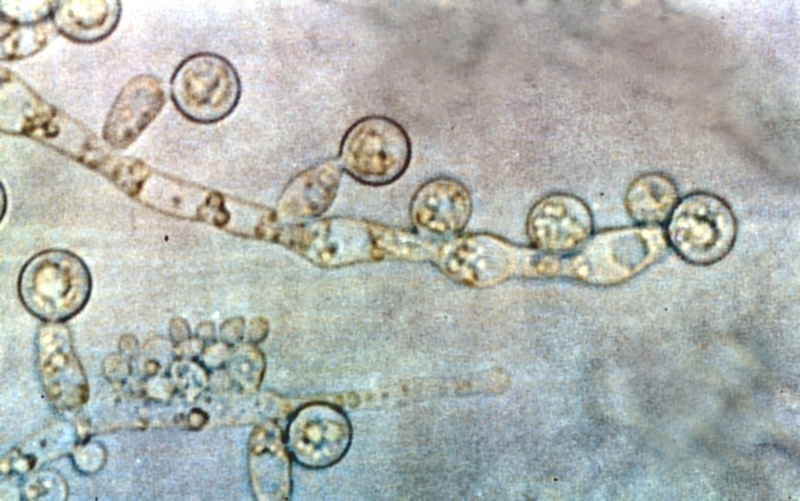 Canine nutrition is important because food contains nutrients. Nutrients are needed for health. Therefore, nutrition is the foundation on which good health is built and maintained. It's that simple! 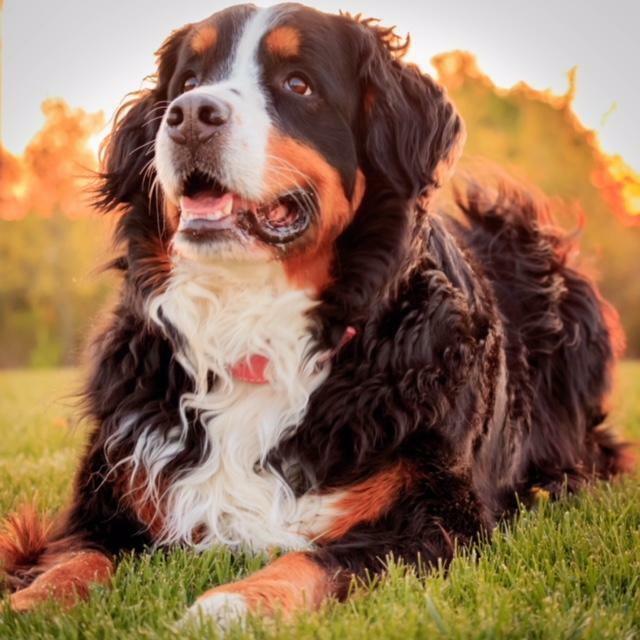 Beautiful Ella is a happy, healthy 8 year old Bernese Mountain Dog. Why Is Dog Nutrition So Important? I've had people tell me that being concerned about dog nutrition isn't important. Some people think it doesn't matter what you feed your dog. I'm not one of those people, folks. Are you? I hope not. Experience has taught me that feeding dogs properly is worth a lot. So much in fact, that I've devoted this whole website to teaching you why canine nutrition is important, why you should care about it and what you should feed your dog for long term health. Isn't your dog worth it? I think so and I hope you agree. I believe the quality and type of food your dog eats, will equal the level of health your dog will experience. Quality of food and state of health are intimately connected for all of us. Health is something you take for granted, until you don't have it. Then it becomes very important, doesn't it? Same thing for your dog. Your dog is healthy until he's not. Then what do you do? You can drive yourself crazy trying to make sense of it. Feeding dogs to give them good nutrition for life should not be rocket science, folks! For heaven's sake! Why would you need to be certified as a dog nutritionist in order to feed your dog? Really? Dogs have thrived as a species for many, many thousands of years. Surely, all you have to do is simply feed your dog in more or less the same way as dogs have always fed themselves, and your dog will thrive as he's meant to. It's in your power to help your dog be naturally healthy for life. Your dog is completely dependent on you for everything, including all of his canine nutrition, dog food quality and dog health care needs. This does not have to be complicated and difficult, inconvenient or expensive. Everything you need to know is here on this website. Better dog nutrition produces better dog health for life! That's what I want for your dogs. You can take charge of your dog's nutrition and health care yourself, starting today. Don't wait. Your dog can experience a healthier life. You can experience the joy of helping your dog be healthy. Is that good or good! Is your dog getting the best nutrition possible? Is your dog as healthy as he/she could be? Is there more you could do to help? Thank you so very much Sandra. I will certainly take your advice & try everything you said. You have no idea how thankful I am for helping me!!! Again, thank you so much. I can't tell you how much I appreciate your friendship and guidance. You started me on this path of education and I have learned so much. You have literally changed lives, dog and human. What would I do without you Sandra? Your guidance and patience with ME has made all the difference in the world for my dog, Lily. We would still be living in the dark if it wasn't for your help. Thank you does not even begin to express how grateful I am. Thank you Sandra. I appreciate your input and your support! I will keep you posted. You are, and have been a blessing to me, I will see you in heaven I hope. Why Do You Feel So Strongly About Dog Nutrition the Natural Way? My Answer...because I've personally seen the proof, and my dogs live the benefits every day. That's why I've created this website, as a way to share my experience and knowledge with you. I have been feeding my own dogs an all natural raw food diet for dogs for many, many years. My mother taught me that. So, I've seen the results first hand. My dogs all live a long time, many years more than most other dogs I know of. My dogs rarely if ever, get sick. They rarely if ever, need to go to the vet. I am so grateful for their good health! My dogs never die of cancer or other lifestyle related diseases. They die of old age. That's the way it should be. I do my best over the course of their lifetimes to feed them appropriately for their species. But there's more...I try my best to minimize their exposure to toxins from food, drugs and vaccines and the environment. My dogs also get plenty of exercise and live in our stress free household. I understand the health benefits of consciously creating a calm living environment. I want to offer my dogs the same peace of mind. Wow I am so very thankful you came into my life. Thank you! You don't know how much it means to me. I appreciate your guidance and I believe you are an angel. Thank you so much! My gut says NO more vaccines. I am gaining in my confidence with each article I read, particularly yours, as the logic just jumps off the page and definitely resonates with me. I can not thank you enough for taking the time to post resources and articles. I am very grateful and will keep you posted. There is simply no one else like you Sandra. Nobody gives the amount of personalized attention that you do. You were always there checking to see how we were doing. I can't imagine how you find the time to stay in touch with everybody you work with. You made me feel so special...AND you sent me that lovely Teddy's Favourite soap for free. I couldn't believe it!